Bonita Springs: Brand New Rental Community for Sale in Bonita Springs. Permitted for 52 residential multi-family units, (13) 4-unit , 3 bedroom, 2 bath, single-car garage buildings, 9.2 acre development Southeast corner of Arroyal Road and Pennsylvania Ave in Bonita Springs (3 miles from Bonita's Beaches) Roads, parking lot, lake,water and sewer lines already in place. Eleven 4-unit buildings and seven 4-unit garages are currently complete and rented. Last two 4-unit buildings and 4-unit garages are nearing completion and should be finished in about 2 months. Completed price is estimated to be $18,200,000 and is expected to be finished in mid 2019. Please call for updated info. Palm Gardens: The Most Unique & Unparalleled Luxury Property in SWFL!! Palladian-inspired Fully Furnished LUX Estate situated on over 2+ lush acres of Prime Waterfront creating the Ultimate Oasis. This amazing property is Fully gated w/2 private access roads enjoying a botanical garden setting w/exotic fruit trees and 200 species of Flora from around the world. Features include Direct Gulf access w/2 docks & lift, expansive water views, 65,000-gallon mosaic infinity edge pool, 16-person spa, Solid Granite Driveways, Venetian plastering thru out the inside of the home, Custom Fixtures/Millwork/Built-ins & Hardware, Italian Marble Floors thru out, Professional Kitchen w/African Walnut Finish that features a walk-in commercial refrigerator, 2000 bottle Wine Cellar,State of The Art audio/visual/security system, a spacious work out rm, indoor & outdoor home cinema(s),Elevator, a car collector's dream garage,Mexican Shell Stone Detail, special water filtration system from Japan, High-End Appliances, Custom LED Lighting & a separate 3 Br guest house. Created & Constructed by Michelangelo Custom Homes & Master Carpenters from Germany w/architecture design by Stofft Cooney from Naples. Fort Myers: Prime location for Mixed Use Development site, Hotel, ALF, and or Shopping Center, and permitted for 35 units per acre- 1400 dwelling units. 61,000 cars per day, fronting a 6 lane hwy, B-1 General Commercial which provides access on two of Fort Myers' busiest thoroughfares, Winkler Ave. & Colonial Blvd. Adjacent and across to the site will be new gated communities already underway and construction, and other similar multifamily developments to better support more MF or mixed use development being in the heart of Fort Myers, and within minutes to I-75/ Exit 136. Upon request, development costs and ROI breakdowns. Welcoming Developers & Investors. Seller will consider holding 50%. Inclusive due diligence report, mitigation credits already paid in full, along with a development breakdown and summary upon request as well as Phase 1 Environmental report. Acreage: Prime Retail Development - 34 acres located at NWQ of I-75 and Alico Road. Zoning in place. Located midway between Naples and Fort Myers; ideally situated to draw from both population centers. Close proximity to regional points of convergence: SWFL International Airport, Gulf Coast Town Center, and Florida Gulf Coast University. Perfectly positioned on the North end of the burgeoning town of Estero, a white hot residential corridor exploding with rooftops (6,500+ new units recently approved). Signalized intersection in place (Three Oaks Parkway & Alico Road). Multiple points of ingress/egress in place. Great traffic counts High visibility (2,600 lineal feet of frontage on I-75, and 1,040 feet on Alico Road). Located in unincorporated Lee County. CPD zoning in place with extensive list of well-suited uses. Barefoot Beach: Rarely available direct Gulf front home in Barefoot Beach with elevated pool and spa. New construction with completion date in 2019. Only the finest materials can be found throughout, including porcelain tile & wood flooring, custom cabinetry, exotic level stone countertops, private elevator, and double VIP guest suites. Kitchen features 48" gas range, large island with breakfast bar, walk-in pantry, and high end appliances. The master suite offers stunning views & includes sitting area, large closet & spacious bath. A 4th floor bonus room includes a built-in bar and full bath. A truly fantastic one-of-a-kind home. Laguna Shores: Once-in-a-lifetime opportunity to own a one-of-a-kind property on Fort Myers Beach! With 1.7 acres and almost 15,000 sq. ft. of indoor/outdoor living area, this gated Gulf-front masterpiece is a rare gem for those who treasure privacy & luxury. Besides spectacular sand-and-surf views throughout the 3-story, 4 BR, 5.5 BA home, its resort-style amenities include a heated pool/spa, covered lanai, private boardwalk and 2nd-floor outdoor kitchen. Inside, the chef's kitchen has premium stainless appliances, custom cabinets, granite island/breakfast bar & built-in banquette. Three en-suite guest rooms plus a lavish master suite with morning kitchen, his & her vanities and WCs, a steam shower, and vast his & her custom closets. Also under air: office w/fireplace; wet bar; home theater; butler's pantry; 3-car garage. Other features: elevator; wraparound screened porches; impact windows & doors; electric shutters; custom faux painting throughout; hardwood & marble floors; plantation shutters; coral fireplace; Lutron smart home system; security system; 5-zone HVAC; whole-house generator; RO system; and much more! This home comes fully furnished, including most of the art & all electronics. Barefoot Beach: Direct Beachfront property in Barefoot Beach. Barefoot Beach is a gated 24 hour patrolled beach to bay community. Clubhouse with fitness, tennis, pickleball, Beach Gardens, landscaping and pools included in low Fees. Boat dock with lift across the street on the bay available as a separate purchase for $125,000 - no bridges direct gulf access. This property is being sold as is. Renovate existing structure or tear down and build your dream home. This property is approximately 1.5 lots (but only pay one lot assessment by deed). Call listing Broker for details. Metes And Bounds: Majestic and absolutely stunning beach front estate located on Sanibel Island, Florida. This Mediterranean influenced gem was meticulously built and designed. Gorgeous exterior and interior detail finishes compliment the richness of this private residence that offers second to none magnificent Gulf of Mexico views and quality. Fully equipped and offered with all the bells and whistles - this is a one of a kind presentation for SW Florida. Luxury appointments one would expect are included throughout this private enclave additionally including elevator, multiple game rooms, wine room, theatre, indoor/outdoor kitchen, office and optional additional bedrooms - all surrounded by professional decorating and custom designed furnishings that are also included with this truly commanding and elegant presentation. Estero: Now available 573 contiguous acres of beautiful SW Florida grove and pasture in the growth corridor of Corkscrew Rd. This acreage is one of the last large tracts of land available for purchase on Corkscrew Rd. 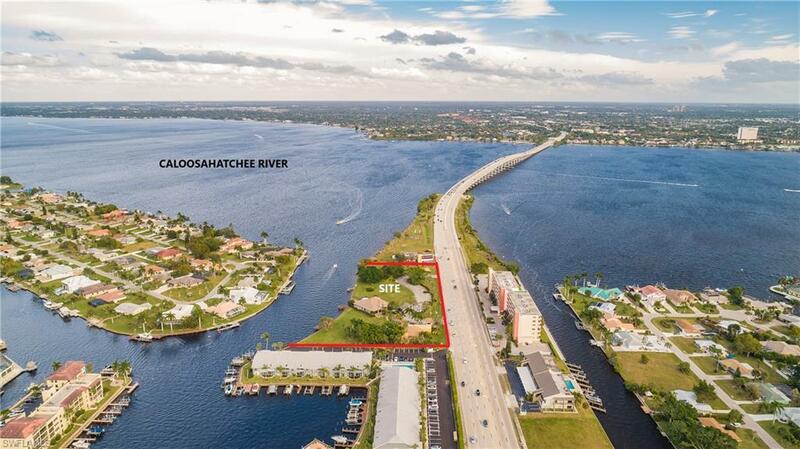 Interstate 75 is 11 short miles away, world famous sunny SWFL beaches less than 22 miles away and RSW Investors or developers looking to secure a foothold in the SWFL land market, act quickly!! Potential to be rezoned to Commercial, Multifamily, Single Family residential or keep as a large estate or farm. Currently zoned Ag-2 there is an active income producing grove and cattle lease on the property that can be continued or terminated. The north property boundary is 2600 sq ft of Corkscrew Rd frontage and south boundary is just north of the Collier county line and the Corkscrew Swamp Sanctuary. Notable residential developments in the white hot growth corridor are Corkscrew Preserve, Corkscrew Shores, Wild Blue and The Place. The property may be accessed from 21230 Corkscrew Rd or from 21601 Carter Rd. Lots 1 and 2 may be purchase together or separate.The property is currently being farmed and agents are NOT ALLOWED ENTRY WITHOUT LISTING AGENT PRESENT. Barefoot Beach: Fantastic beach home on nearly two lots in Barefoot Beach. 10' mahogany double entry doors, 4 story marble staircase, custom iron railings, solid concrete construction, impact glass, electric shutters/screens on lanais, Lutron lighting, granite & marble countertops, private elevator, marble & wood floors, 2 laundry rooms, coffered ceilings. Gourmet kitchen w/ Subzero fridge/freezer, 48" Wolf range, two dishwashers, & pantry. Two story great room, separate lounge area with spectacular Gulf views, custom bar with copper sink, wine cooler, fridge/freezer drawer, dishwasher drawer. Outdoor area perfect for entertaining with gas grill, fridge, sink, TV, and gas fireplace. Three guest suites w/ private baths and guest lounge area. Private master level with separate his and her baths. Separate large his and her closets with custom built-ins and additional shoe closet for her. Large bonus room w/full bath & family room area. See lower level disclosure. Barefoot Beach: Barefoot Beach masterpiece with endless Gulf views & the finest finishes. Located on a palatial lot & one half, this newer-built Potter Homes estate exudes casual elegance, from the warm hardwood & marble floors, to the exquisite coffered ceiling accents & contemporary light fixtures, to the soothing coastal contemporary color palette. Enjoy the Gulf breezes & sound of surf from several large beachfront lanais, one with fireplace & outdoor kitchen & another with built-in spa for beachfront sunsets. Available with designer furnishings & separate private boat dock, perfect for the boating enthusiast. Nestled in Collier County’s gated Barefoot Beach community, this spacious home boasts an open floor plan with dual master suites, movie theater, 7-car garage & chef’s kitchen. With professional-grade appliances including 3 dishwashers & double Sub-Zero refrigerator, temperature-controlled 680 bottle wine cellar & butler’s pantry with wet bar, the most discerning chef will be at home. Additional features include impact glass windows & sliders, electric window shades + shutters & double laundries. Steps to beachfront pool & Club at Barefoot. Minutes to Mercato, Promenade & Waterside Shops. Metes And Bounds: Magnificently built gulf front estate home located in the prime west gulf drive location, Sanibel Island, Florida. Situated on one of the highest elevated ridges offering glorious panoramic sunset and beach vistas within a private enclave, this masterpiece has been constructed with only the highest quality materials. Professionally designed and decorated surrounded by Italian marble throughout including all lanais and staircases w/handcrafted wooded railings. Gorgeous and unique ground level entryway opens to an overly impressive great room that is the heart of the home. A beautiful formal dining room is also included. Exceptional custom details are brilliant - intimate open fireplaces, double sided elevator to the 3 levels, all in house water infiltration, total home automation and security, exercise room, resort style pool and landscaping, media room, all top of the line and newer appliances. A true Island jewel offering timeless appeal and luxury. Gulf Harbour Yacht And Country Club: Live life luxuriously with this amazing waterfront Estate in Southwest Florida. This over-the-top modernized Mediterranean show place with 11,000 ft.² of living w/separate guest house is located in Gulf Harbor Yacht and Country Club, one of the premier gated communities on the West Coast of Florida. Spectacular deep water yacht club and full service country club amenities w/casual and formal dining rooms, pool side Grill room, full service gym and spa, tennis community pool/spa, and private beach area are all here to enjoy and experience.This exquisite estate is a waterfront wonder and offers every imaginable amenity that one would only expect to find in luxury living. Indulge in Incredible detail, quality, Craftsmanship, and design. Features include spacious gathering rooms throughout, luxurious master retreat with spa like bath, media Fun room and bar area, Exercise and meditation rooms, resort style pool and outdoor entertainment rooms And so much more. Turn heads and turn moments into memories with this unmatchable property and lifestyle. Captiva Beach: Tucked quietly along the shores of Captiva Island, this awe-inspiring Gulf front compound is now being offered. Built with the finest craftsmanship, this masterpiece offers the feel of old world charm combined with today's modern amenities. Solid oak plank flooring, custom millwork, woodworking, and custom built-ins will make you feel like you're living the island dream. The living room, family room, and kitchen all offer unobstructed breathtaking views of the Gulf of Mexico. There is also an additional family room, den, and a formal dining room offering easy elegant entertaining. The gourmet kitchen features gorgeous custom cabinetry, top of the line appliance package, island and walk in pantry. The master suite boasts grand views of the gulf waters and offers a separate terrace. The large custom bath, offers his/her concept, steam shower.and jacuzzi. There are also 4 guest ensuites providing plenty of room for all! The estate is equipped with a Crestron smart system, Lutron lighting system, elevator, and full house generator. All of this is situated on one acre of land on Captiva's Gold Coast. Furnishings are negotiable! 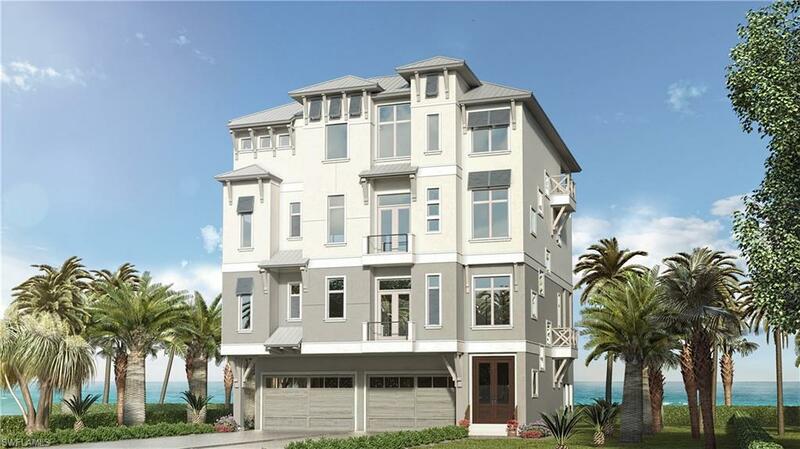 Bonita Beach: Direct Beachfront New Construction! Move-in December 2019. Open floor plan with fully pocketing sliding glass doors lead to the sun deck with infinity edge pool & spa, outdoor kitchen & fireplace feature. Chef’s kitchen features Thermador appliance package, custom cut & sourced quartz counters and wet bar, perfect for entertaining. Smart-Home features include lighting control and automation. Offered furnished & professionally decorated by area favorite Freestyle Interiors. This spacious custom home features over 5,700 sq ft of living space comprised of 2 master or ‘VIP’ suites, 4 car garage, spacious laundry room with craft counter, oversized sink & storage as well as private elevator. Constructed by award winning custom home builder Potter Homes with the highest level of detail throughout & storm resistant with concrete block construction, impact rated windows & doors & motorized screens & shutters. Ideally located mid-island, just minutes to Mercato & North Naples’ amenities, easy access to I75 & the International Airport. This state-of-the-art Gulf-front residence boasts the best of the best; all overlooking the stunning Gulf of Mexico with the sugar sand beach as your backyard. Bonita Bay: NOW SELLING PRE-CONSTRUCTION! From Seaglass’ renowned developer, The Ronto Group, comes another residential wonder in a class all of its own: Omega at Bonita Bay. Omega’s residences will initiate a new standard of luxury. Floor to ceiling windows will fill the expansive, open floor plans with radiance. Vast, private terraces will command matchless views enclosing private outdoor kitchen, bar, and gas grill. 6,455 approximate living area with 8,140 total living area, 5 bedrooms, 5.5 baths with 11’ 4” ceiling heights, these ultra-lux residences will embrace Sub-Zero and Wolf kitchen appliances amidst Irpinia cabinetry. Opulent amenities reserved purely for Omega include, but are not limited to: infinity edge pool, pool pavilion with day beds and bar, fire pit terrace, putting lawn, fitness and massage center, salon, and movie theater complete with bar and popcorn machines. Omega will rise at the northernmost point of Bonita Bay, a location destined for a grand ovation. Here, views of the golf course, Estero Bay, and Gulf waters beyond layer in unobstructed, captivating harmony. This Penthouse is customizable and includes a 3 car enclosed garage.